Mohammad Usman Dar, an activist of Imran Khan's Pakistan Tehreek-i-Insaf filed the petition against Pakistan Foreign Minister Khawaja Asif yesterday. 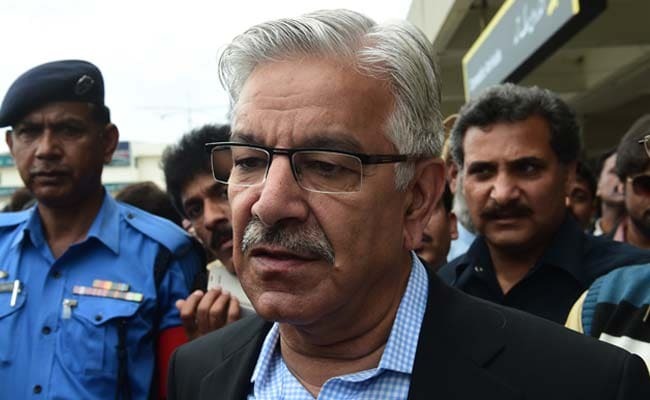 Islamabad: A petition seeking disqualification of Pakistan Foreign Minister Khawaja Asif for allegedly hiding his employment with a company in the UAE has been filed in the High Court in Islamabad. Mohammad Usman Dar, an activist of Imran Khan's Pakistan Tehreek-i-Insaf filed the petition yesterday. Mr Dar sought disqualification of Mr Asif alleging that the foreign minister did not declare details of his employment contract with a UAE-based company and also concealed his salary details. The petition claimed that Khawaja Asif had been an employee of Mech and Elec Co LLC (IMECL) since 2011 where he was working as a special adviser. It claimed that Mr Asif was entitled to draw salary which was his receivable asset; however, since he did not declare it in the nomination form while contesting the 2013 general elections from NA-110, he was not qualified to remain a member of the National Assembly. The petition relied upon the recent definition of the Supreme Court regarding receivable salary, on the basis of which it disqualified former prime minister Nawaz Sharif. Mr Asif of the Pakistan Muslim League-Nawaz had defeated Mr Dar in the 2013 general elections with a margin of over 21,000 votes.